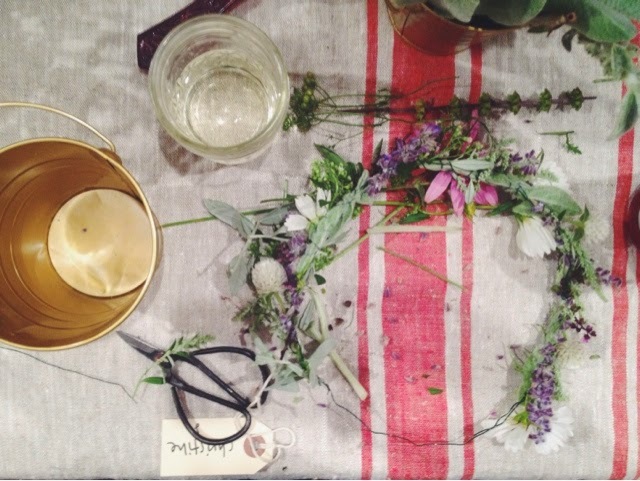 Last week, my friend Katie and I went to a flower crown workshop at a local shop. It was one of the most blogger-y events I've been too. 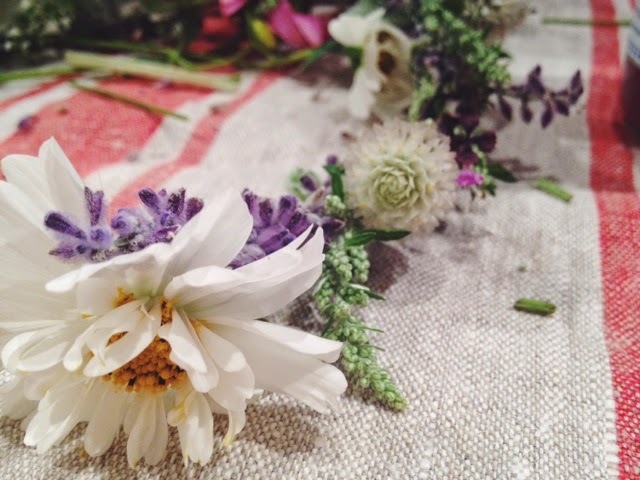 You know, beautiful flowers strewn about an impeccably-curated shop with pretty ladies sipping white wine out of small jam jars and nibbling on hibiscus shortbread cookies. Just perfection, and I mean that. Fort Orange General Store is a small specialty shop here in Albany that sells all sorts of great gifts, home goods, jewelry, paperie and such. It's just adorable. When they announced that they were hosting a Flower Crown workshop under the direction of Flower Scout, Katie & I jumped at the chance. 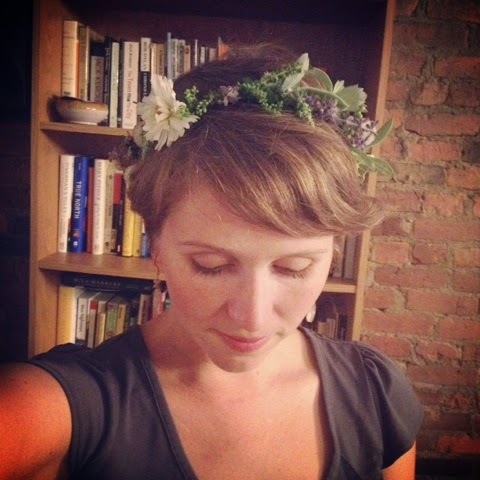 We snipped flowers, twisted wire and fashioned ourselves some gorgeous crowns. Passersby must not have known what to think when they peered though the shop windows and saw a sea of women sipping wine and shopping in our lovely floral headwear. The bottom line is that I need to find/create new opportunities to wear a flower crown because I felt like a damn princess and wore it until I went to bed, and then a little bit the next day on our way up to Quebec City. A princess, I tell you.